Ruth, being a Moabitess, according to Deut. 23:3, should never be able to enter into the assembly of the Lord. (Very similar to the Canaanite woman Yeshua accepted in Matthew 15:22-28) I think this is a picture of God’s love and mercy overcoming His judgment upon a person utterly and completely devoted to Him. 1. Submission. Ruth puts herself under Naomi’s authority voluntarily. Clearly these are both grown women who would have had equal struggle on their own due to both of their husbands being deceased. Ruth submits to Naomi and follows her advice about gleaning, about approaching Boaz, etc. 2. Restoration. Both women are restored as Boaz is a “redeeming kinsmen.” However, it is important to note that Ruth’s service to Naomi served as the catalyst that God began to weave restoration into Naomi’s life. In the end, the townspeople tell Naomi that Ruth is better than 7 sons (Ruth 4:15 – for your daughter-in-law, who loves you and is better to you than seven sons, has given birth to him). Male lineage and birth order was/is significantly meaningful in Jewish life & culture – as well as in the Bible – so this statement is profound. 3. Service. Service & love to our Jewish brothers & sisters. Through our love, service, submission, and refusal to leave their side we can ultimately bring about restoration to the redeeming kinsmen, Yeshua the Messiah. Ruth makes herself a servant to Naomi and then again to Boaz (Ruth 3:9). 4. Love. Ruth had to love Naomi to attach herself to her and ultimately to her people and to her God. 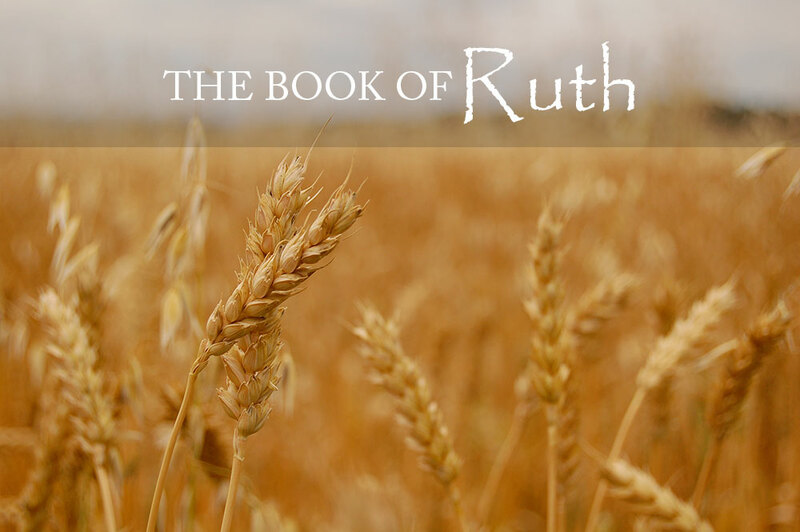 Ruth had been married to a Jewish man for 10 years and had some level of experience/knowledge of the God of Israel. Although scripture does not elaborate on this topic, what it is quick to point out is that Ruth was a Moabitess (probably saw horrible pagan customs and lifestyle) and did not want to return to her former people, but instead wanted to be identified with Israel. Both women served their husbands & Naomi well. Ruth 1:8 says: Na‘omi said to her two daughters-in-law, “Each of you, go back to your mother’s house. May ADONAI show grace to you, as you did to those who died and to me. Ruth’s love and service toward Naomi was so steadfast that it caused Boaz to declare: “May ADONAI bless you, my daughter. Your latest kindness is even greater than your first, in that you didn’t go after the young men, neither the rich ones nor the poor.” (Ruth 3:10) So what is this first kindness? It is her service to Ruth. Ruth is about “building up the house of Israel” (Ruth 4:11-12). During Shavuot, let us ask ourselves, “Whose house are we building up?” Remember that Paul says in Romans 15:27 “For if the Gentiles have shared with the Jews in spiritual matters, then the Gentiles clearly have a duty to help the Jews in material matters.” So what does this mean? That the gentiles have shared in spiritual matters? Well, most assuredly Yeshua – salvation – is from the Jews (John 4:22). It has always been God’s plan to bless the world through the Jewish people. So these “material matters” Paul speaks of…we have to ask ourselves “are we doing that?” We have a number of scriptures about our “duty” to the Jewish people, the most significant probably is: “…to the Jew first and then also the Gentile…” Romans 1:16. So are we supporting them? If we are, how? If we are not, why? What is our reason for not providing this support? Not enough funds? Not enough interest? Not enough understanding of the relevance of it all? Because of the persecution that is woven into the very fabric of the Jewish people we here in the United States have had many situations and circumstances in our own history that would necessitate our support of Israel and the Jewish people. You can rest assured those circumstances will only increase as we travel more and more into“end times”. Regardless of your end times position…whether you are “pre-trib”, “post-trib”, or “mid-trib”, most of us could at least agree that we are in peculiar times and we are always one day closer to Yeshua’s return, yes? I want to encourage and excite you to be part of a spiritual and physical re-building. True Kingdom work. What is right at the heart of the Father. To be part of something great and something that could turn our country around and position us to receive blessing. Our country is broken in so many ways. Certainly God could repair all of our ills. But I believe God wants his children – the people that call themselves His – to do it. I do not have an answer for all of our country’s problems, but I know a good place to start is to get back on the road to blessing Israel. The health of our nation – and therefore the blessing – is directly linked to our relationship with Israel. “I will bless those who bless you, and I will curse those who curse you, and through you all the families of the earth will be blessed.” (Genesis 12:3) We cannot escape this fact. This is foundational. If we forsake this, why even expect to receive blessing? These are God’s own words. You have the opportunity right now to put some action behind words of support and help build up the only nation God has promised He will uphold. This is the only re-building that is guaranteed to take place. If you want to be a part of that re-building, Father’s House has many ways for you to do just that. We have our journeys to Israel that allow you to walk in the footsteps of Yeshua. Praying where He prayed. Seeing what He saw. We here at Father’s House are dedicated to seeing the House of Israel. Won’t you join us in our dedication and kingdom work?